I cannot understand how that bad quallity to the slides (i am using 720 video option) is accepted nowdays. Its distracting. what is going on??? how do i get the certifications as i am done with the module? The quizzes have wrong answers, and even wrong options FOR answers and some modules have the wrong quiz attached! Module 6 has the quiz for 7 and 7 has 8s! I don't appreciate the style of lecture, long talking about few concepts, no transcript to review easily the previous concepts... not a nice platform. 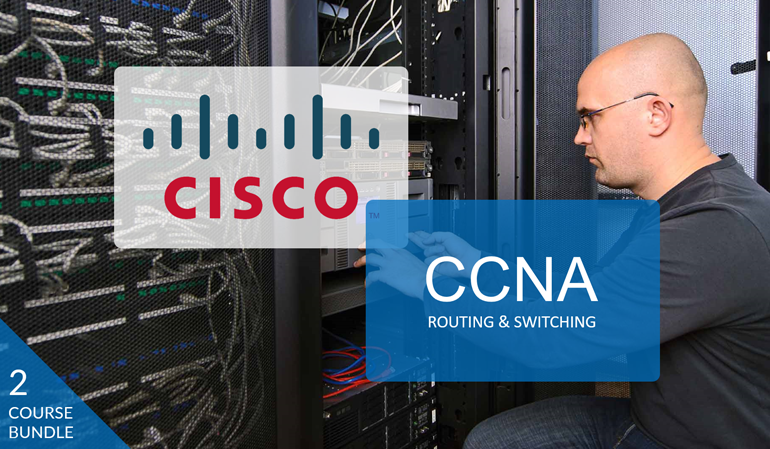 The Interconnecting Cisco Networking Devices, Part 2 (ICND2) v3.0 course helps you prepare for the Cisco CCNA® Routing and Switching certification and for associate-level routing and switching network engineering roles. This course gives you the knowledge and skills you need to install, configure, operate, and troubleshoot a small enterprise network. In addition this latest revision provides an understanding of Quality-of-Service (QoS) elements and their applicability and of how virtualized and cloud services will interact with and impact enterprise networks, along with an overview of network programmability and the related controller types and tools that are available to support Software-Defined Network (SDN) architectures. Video instruction is great! End of module tests are not so great. Many incorrect answers and questions not covered by the videos.